Adorable 2 bedroom townhouse on canal with free WiFi and boat dock located downtown on the bayside! 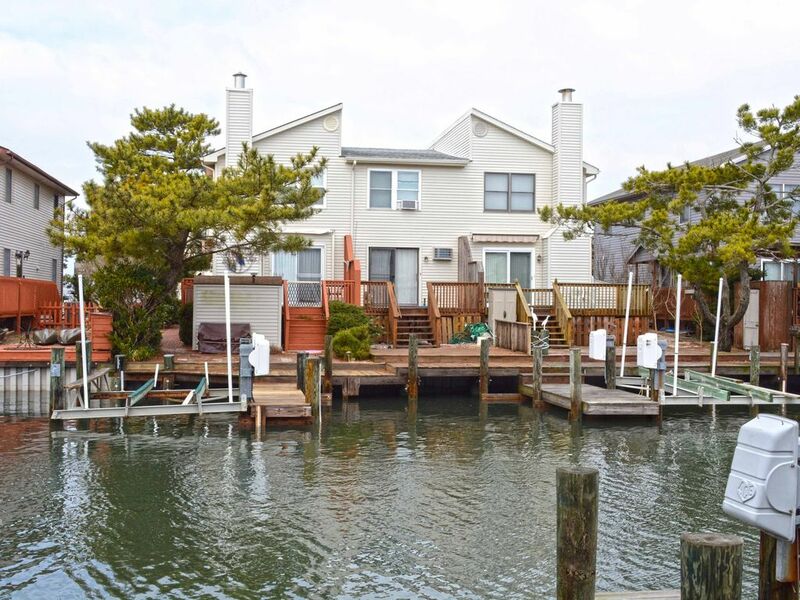 View Point 2802B is an adorable waterfront townhouse located on the bayside. This two-bedroom, one and a half-bathroom townhome has a furnished deck and boat dock overlooking a beautiful canal. This house is the perfect place for you and your family to call home for a week! View Point 2802B is one of Ocean City's finest vacation rentals. Leave all your cares behind when you arrive at this cute home with coastal decor. The living room is furnished with two matching couches and an armchair, all facing the television. The larger couch doubles as a queen-size sleep sofa. The sliding deck doors allow plenty of natural light to brighten the space. There are two cozy dining areas, one near the entryway and one one the deck. Enjoy your meals and a spectacular view! Next to the living is the fully-stocked kitchen with a breakfast bar, just right for grabbing a quick bite. Closing out the first floor is a convenient half-bathroom. Upstairs you'll find the bedrooms and full bathroom. The master bedroom has a queen-size bed and a private balcony. The second bedroom has two twin beds. The full bathroom is located in the hallway. This property comfortably sleeps up to six people, so bring the whole family! Come stay at View Point and create wonderful memories to last you and your family a lifetime!